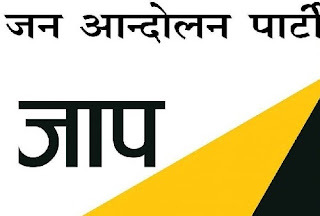 The Jana Andolan Party today questioned Bimal Gurung's capability to lead the Gorkhaland agitation, picking out lines from his old speeches to hint that he lacked vision and made illogical statements. Bishal Rai, the president of Jana Andolan's youth wing, today said: "Not long ago, Bimal Gurung had raised an illogical issue of no-man's land and lease-hold land and said Kalimpong could not be upgraded to a district. Now the Calcutta High Court has cleared the proposal of the state government to create the Kalimpong district." Two days ago, Calcutta High Court had given its nod to set up courts in three proposed areas to be carved out as districts - Kalimpong, Burdwan (industrial) and Jhargram. Before chief minister Mamata Banerjee started criticising Gurung for not bolstering development in the region, the Morcha ran a one-party show. Of late, the Jana Andolan too has started taking on the biggest party in Darjeeling. Rai today said: "The country does not question the ability of the common people (of the hills) but with the kind of speeches Bimal Gurung has delivered in the past, I think the country does have questions on the vision and leadership of the political leaders who are currently leading us." On January 28, the Morcha had organised a show-of-strength rally in Kalimpong, a day after the Jana Andolan was formed. Harka Bahadur Chhetri, who had quit the Morcha to form the party, had started campaigning for a separate district of Kalimpong. During a public meeting on the Mela Grounds in Kalimpong on January 28, Gurung thundered about the Kalimpong district campaign, saying: "Let the central government understand this. I don't have to make the state government understand. First the central government must understand. This is a no man's land, lease-hold land. You first show by incorporating this area inside your own Bharat.... Let Bengal's Miss Mamata Banerjee not boast that this is your place. You can never lay claim to it. For this, we will talk to the Indian government, otherwise at the international level." Gurung hinted that Kalimpong had not been integrated into India from Bhutan, a claim which was rubbished by Bengal officials later. When told about the Jana Andolan's criticism, Roshan Giri, the general secretary of the Morcha, said: "They are just trying to use it as a political tool." Rai today said: "We would also appeal to the people to stop listening to such illogical speeches. People with logic should join us." The Jana Andolan leadership, which held a closed-door meeting at the Gorkha Dukha Niwarak Sammelan Hall in Darjeeling today, scoffed at Gurung's deadline for Gorkhaland. "Earlier, Gurung had repeatedly talked about a March 10 deadline. Everyone knows what has happened. We would like to tell Gurung that politics and astrology are two different things," Rai said. From 2008 onwards, Gurung repeatedly said he would form a Gorkhaland state by March 10, 2010, failing which he would shoot himself.